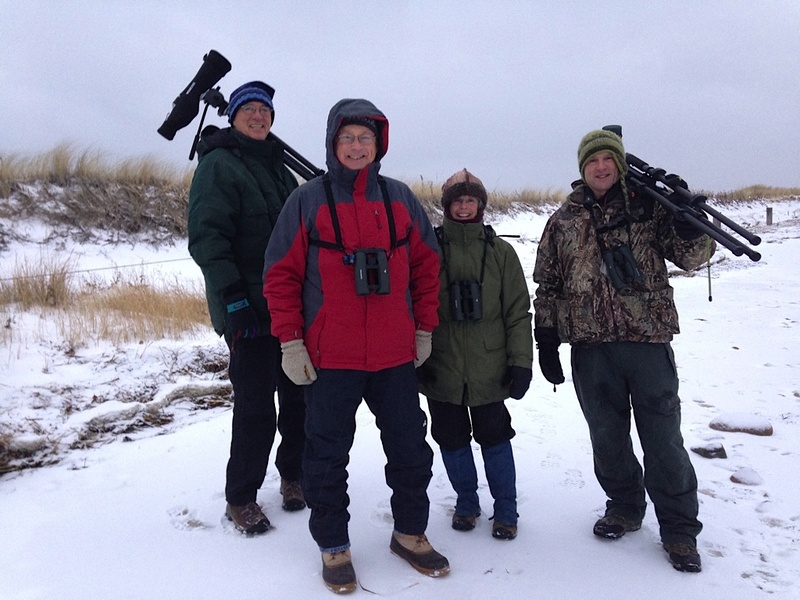 Our birding team, from left to right: John Bushnell, Wayne Peterson, Molly Cornell and Brad Winn. I was thrilled to join a fun, rugged and talented team to participate in the Plymouth Christmas Bird Count on January 2, 2014. 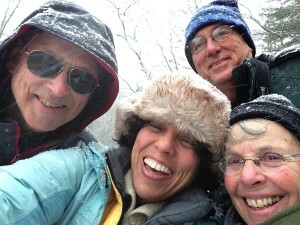 We covered Long Beach, Plimoth Plantation, Jenney Pond, the harbor and nearby areas. 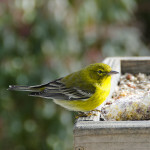 Despite the snow and wind we saw some interesting and beautiful birds such as a snowy owl, yellow-breasted chat, pine warbler and yellow-rumped warbler. Here is the final report from all areas within the count circle by the compiler, Trevor Lloyd-Evans of Manomet Center for Conservation Sciences. Pre-dawn owling was supremely unproductive with a 100% overcast sky, light snow, temperature 23º F and light NE winds. During the day, temperatures peaked at 31º F and NE winds strengthened to 10-20 mph under 100% overcast. There was light to moderate snow all day with about 3” on the ground. Nearly all freshwater was frozen and sheltered salt water was thinking about it. With strong, gusty winds and blowing snow, we missed many marine birds that were probably present. 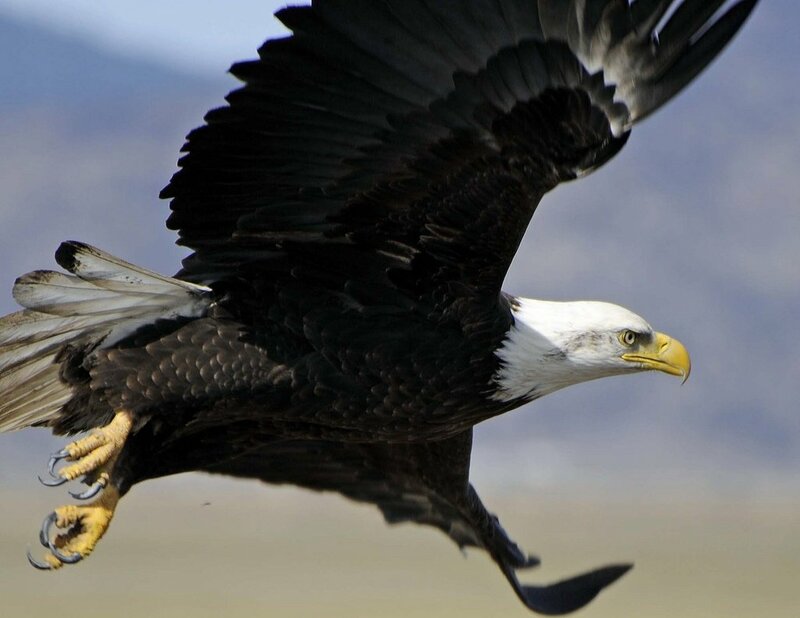 The state also closed Scusset Beach State Park for “safety”, depriving us of other expected birds. 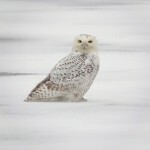 During the day, two snowy owls were spotted. This one was photographed by John Galluzo. The tallied 98 species (plus 6 more in count week) was below average and the lowest since 1994. Since 1974, the total number of individual birds has been trending steadily downwards; our 6,163 (or 112 birds per party hour) were both the lowest ever, continuing this downward trend of individuals seen. Declines are driven by diminishing wintering Canada Geese, American Black Duck, Common Eider and large gulls in the harbors. I highlighted 2 Eastern Phoebes at Tidmarsh as “unusual” this year; a Savannah (Ipswich) Sparrow on Plymouth Beach is always noteworthy and a Yellow-breasted Chat at Jenney Pond, Plymouth, is good. Last year’s Iceland Gull was back on the Plymouth boat launch as a 4th winter bird (but only for count week). 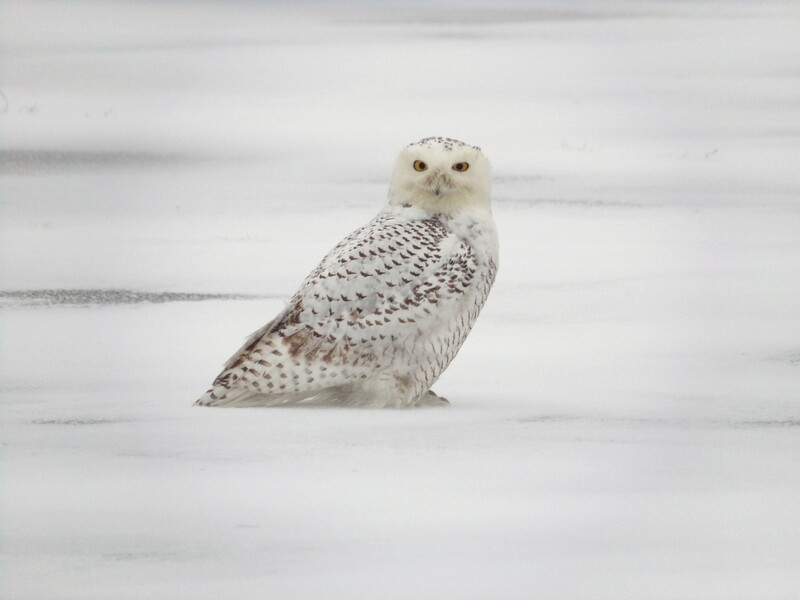 The 6 highest all-year species counts included waterfowl (173 Gadwall, 28 Green-winged Teal); 2 Snowy Owls (they are everywhere this winter! ); the 2 phoebes; 16 Savannah Sparrows and (appropriately) 120 Snow Buntings. The five record long-term low counts included Herring (291) and Great Black-backed (91) Gulls and 22 Rock Pigeons. All of the low counts were doubtless exacerbated by the poor weather. 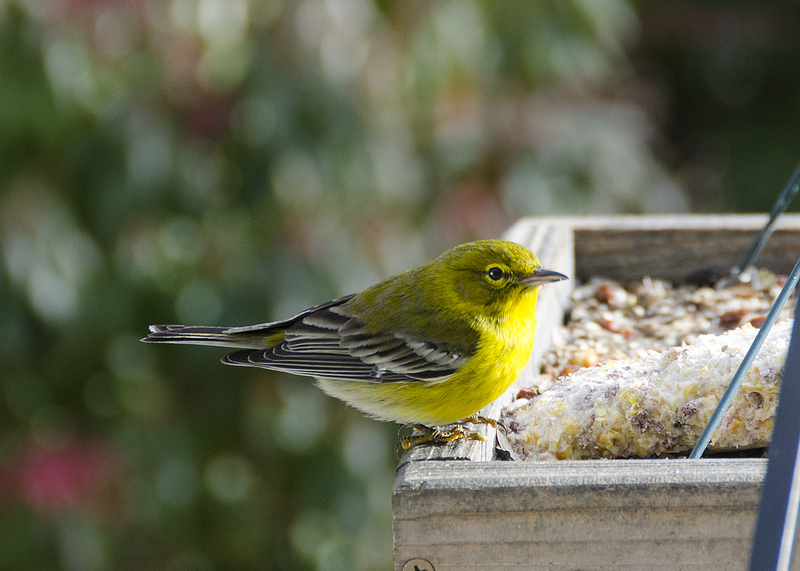 Lovely pine warbler captured in the eponymous Pinehills by Jim Smith. birds except Wild Turkey, continue apace. Hooded Merganser (152) and Gadwall (173) are increasing steadily, as are permanent residents that are expanding their ranges from the south. The latter include Red-bellied Woodpecker (6), Tufted Titmouse (54), Carolina Wren (39) and Northern Cardinal (76). Northern Mockingbird (7) and House Finch (22) increased from the 1970’s through the 1990’s, but are now dropping back in numbers to perhaps a more stable carrying capacity in southeastern New England. Wild Turkeys (95) are doing just fine as they increase in farmland, woodlots and the suburbs. Many thanks to all the participants in the windy, frigid, snowy outdoors; plus the feeder watchers (34 total participants), who contributed to this year’s count of 6,163 birds of 98 species. May your favorite coffee and hot chocolate shops always be open early and may the evening-tally stewpots never run dry. I hope we see you next Christmas.